The well-preserved ramparts of Fort Gaines have guarded the entrance to Mobile Bay for more than 150 years. Today, the fascinating historic site is open daily for tours, school groups and sightseers. It's prime location on the eastern tip of Dauphin Island commands panoramic views of the bay and the Gulf of Mexico and offers a chance to experience living history first hand. 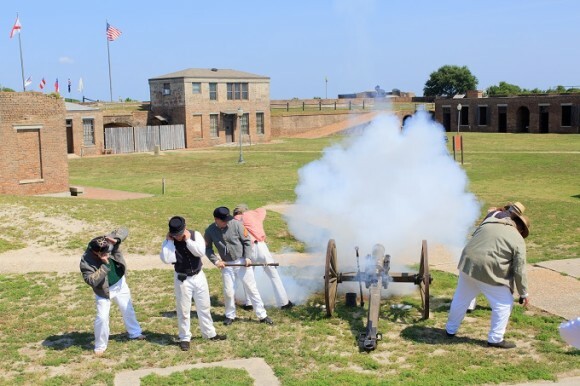 Learn about the role of Fort Gaines in the Battle of Mobile Bay, one of the Civil War's most notable naval conflicts.